Coimbatore also known as Kovai, is the second largest city in the Indian state of Tamil Nadu. It is a major commercial centre in Tamil Nadu and is known as the "Manchester of South India". The history of modern Coimbatore, however, dates from the 1930s, when the city grew rapidly capitalizing on a textile boom. Since then, the city has witnessed steady growth fueled by its favourable soil, climate and political and economic conditions. Coimbatore is situated on the banks of the Noyyal River in western Tamil Nadu and is surrounded by the Western Ghats on all sides. It is well connected by road, rail and air with major towns and cities in India. Coimbatore is an important textile and manufacturing hub of Tamil Nadu. Other important industries include software services, education and healthcare. Coimbatore has been ranked 4th among Indian cities in investment by a survey done by the Confederation of Indian Industry (CII). 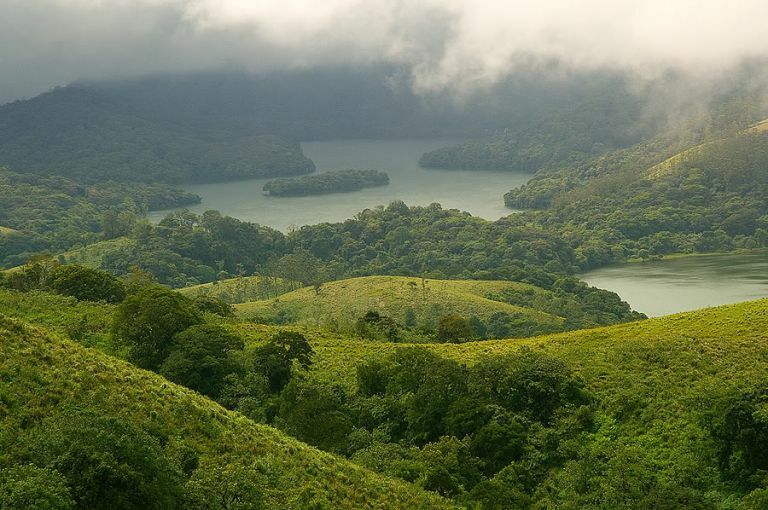 Coimbatore has a pleasant, salubrious climate due to its proximity to thickly forested mountain ranges and the cool breeze blowing through the Palghat gap which makes the consistently hot temperatures more pleasant. Under the Koppen climate classification, the city has a tropical wet and dry climate, with the wet season being from October to December due to the north-east monsoon. 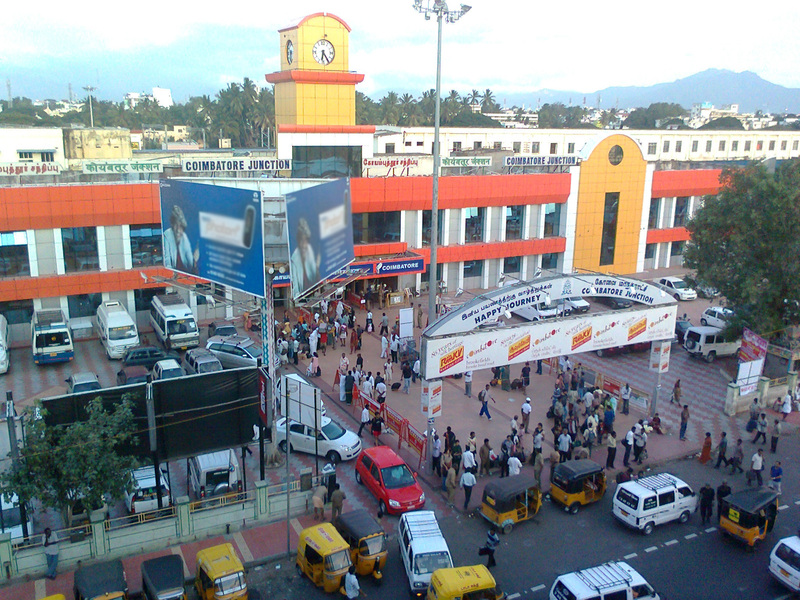 Coimbatore is located at an elevation of about 411 meters. The mean maximum and minimum temperatures varies between 35 °C (95 °F) and 18 °C (64 °F). Highest temperature ever recorded is 41 °C (106 °F) and lowest is 12 °C (54 °F). Due to the presence of the mountain pass, more elevated parts of the district benefit from the south-west monsoon in the months from June to August. After a warm, humid September, the main monsoon starts from October lasting till early November. These monsoons are brought about by the retreating monsoon. 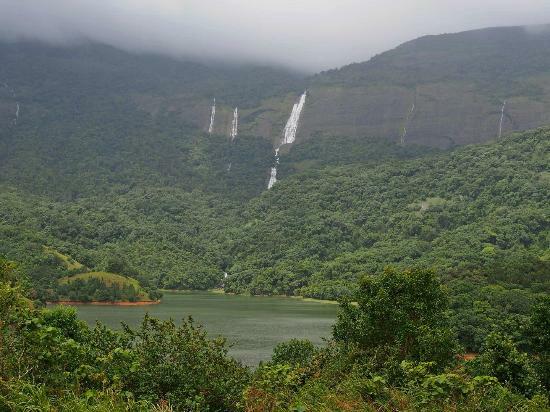 The average annual rainfall is around 700 mm with the North East and the South West monsoons contributing to 47% and 28% respectively to the total rainfall. This rainfall is not enough to sustain the needs of the city for the entire year and the shortage is made up through water supply schemes like Siruvani, Pilloor and Athikadavu. The soil is predominantly black, which is suitable for cotton cultivation, but some red loamy soil is also found. Coimbatore falls under the Class III/IV Seismic Zone, having experienced a 6.0 Richter scale earthquake in 1900. The Guest lines serviced apartments at Coimbatore offer you the independence and privacy of an apartment, coupled with world-class services of a hotel which provides you a double advantage at affordable rates. The well appointed rooms are fully air-conditioned & equipped with electronic safes, tea/coffee making facility and cable TV, all supported by a 24 hour power back up.